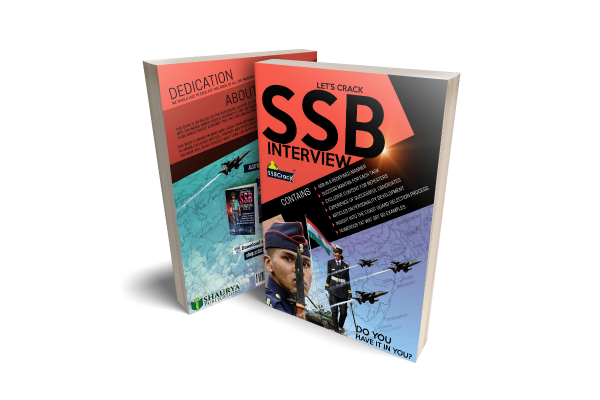 It is very important for all the defence aspirants to know about the SSB interview and what exactly they are going to face at the SSB. But to know what the SSB expects from a candidate is equally important. 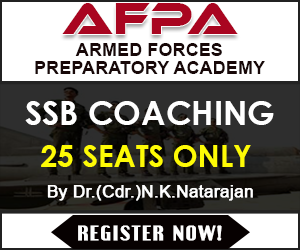 Majority of the candidates face their SSB interview without any preparation and have no clue about the officers like qualities which the board is looking for. Even potential candidates are not able to perform better when the time arrives because they are unaware of such important information regarding officer like qualities. 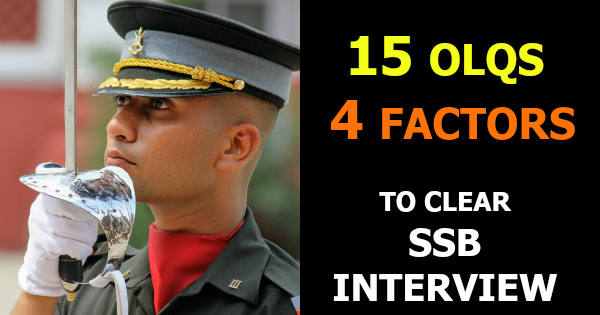 In this article, you will find more details regarding the 15 officers like qualities and 4 major factors based on what the selection of a candidate depends, this is the key to get the success in SSB interview. Officer qualities must be differentiated from other factors assessed at the selection. Broadly defined, these personal qualities (PQs) or Officer Like Qualities(OLQs) as they are called in Indian context refer to traits, states, needs, motives, goals, attitudes, interests, determining tendencies and general dispositions towards personal/social situations. They are different from cognitive, intellectual factors and medical factors which will also be examined in that they usually form an intrinsic part of officer selection. (a) Practical intelligence. The capacity to evolve independent solutions of practical problems and situations. (b) Resourcefulness. The capacity to use the available means for the desired end with the help of improvisation of resources and finding a solution when in a tight corner. * Generally students with higher effective intelligence are bright, mentally sharp, penetrating, innovative and inventive. 2. Reasoning ability. The ability to grasp the essentials well and to arrive at conclusions by rational & logical thinking. It includes receptivity, inquiring attitude, logical reasoning and seeing the essentials of a problem. (a) Receptivity. The ability to understand and absorb new impressions. It involves interest, attention and grasping power. (b) Inquiring attitude. Healthy curiosity resulting in an urge to increase one’s general knowledge and experience in life. (c) Logical reasoning. The ability to arrive at conclusion or judgment based strictly on a presses of rational thinking and excluding emotional factors. (d) Seeing essentials of a problem. The ability by which the individual is not only clear in his knowledge of the situation at hand, but also is able to analyses various factors, shift them in order of importance and make best use of them towards achieving a solution. * Students with higher reasoning ability are exceptionally sharp, analytical, highly imaginative, logical & practical. available means for attainment of a desired objective. 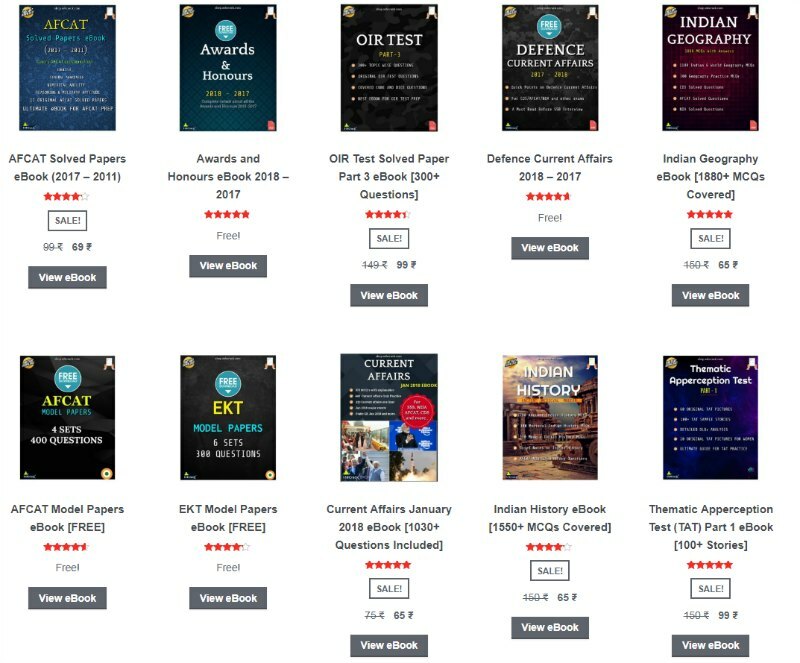 * Students with higher organising ability are very meticulous in planning est dealing with complex issues without over looking details, use commonsense, original in actions and quick in comprehension. 4. Power of expression. This is the most important tools of personality where his/her ability to put across ideas adequately with ease and clarity are assessed. * Students with this quality are more eloquent, forceful, lucid, precise & effective in their expression. 5. Social adaptability. The ability of an individual to adapt himself to the social environment and adjust well with persons and social groups, with special reference to superiors, equal and subordinates. Social adaptability includes social intelligence, attitude towards others, tact, and adaptability. (a) Social Intelligence. It is the intelligence ability applied in social field. It is the ability to understand people & adjust well in new surroundings. (b) Attitude towards others. The ability to put oneself into the other man’s position so as to appreciate justifiable difficulties, to enable rendering help in a proper way. (c) Tact. Skillful management of the feelings of the persons dealt with. (d) Adaptability. The ability to adjust to the environment with special reference to the social situations in that environment. When considering service aspect it involves not only a resilient nature shown by and accommodative tendency but also keenness and interest in service life. * Persons with higher adaptability are genial, very spontaneous in adjusting well in short time, outgoing, amiable, accommodative, flexible understanding, friendly & sympathetic. to the extent of subordinating individual aim to the group aim. * Such persons are altruistic, selfless, volunteers workers with tremendous esprit – de corps. They are also humane, warm hearted, spontaneous and group minded people. (a) Sense of duty Faithfully and firmly doing what one is ordered to do. (b) Discipline. A trained sense of acting strictly in accordance with rules, regulations and conventions. This factor promotes development of self control and keeps one within bounds of social and normal standards. (a) A through understanding of the values of duty, social standard, and of what is required of an individual and then to give it his energy and attention of his own accord. (b) Doing one’s best, carrying out even unspecified and probably unforeseen duties and obligations rather than faithfully carrying out what one is told to do. It demonstrates moral willingness to bear the consequences. * Persons with higher sense of responsibility are exceptionally dutiful, faithful and respectful to authority. They are very conscientious and go out of the way to soldier responsibilities. (a) Ability to take the first steps in an unfamiliar situation. (b) In the right direction. (c) Sustain it, till the goal is achieved. * Persons with higher initiative display plenty of originality in thoughts & actions. Persons with positive initiative never get stuck, they are pushing, enterprising, persistent and will come out with numerous fresh idea. 9. Self-confidence. It is the faith in one’s ability to meet stressful situations particularly those that are unfamiliar. * People with higher self – confidence are totally composed, rationally active, have abundant faith in their abilities, self reliant and constructive in difficulties. (a) Then appropriateness and cost-effectiveness. (c) The quickness in arriving at the decision. is the prime cause of cooperative and willing effort of a group towards the achievement of a set objective. * Persons with this quality are highly inspiring with magnetic charm, indispensable, impressionable, assertive, persuasive, firm & have considerable capacity to overcome opposition. 13. Determination. A sustained effort to achieve objectives in spite of obstacles and setbacks. It implies fixedness of purpose: mental concentration and strength of will. (a) Application to work. The capacity of physical application to work. (b) Drive. The inner motive power at the disposal of an individual. It is the capacity to force oneself along when under pressure and urgency, towards the achievement of the object. It may inspire energetic action in others towards the achievement of a common goal. * They are highly resolute, unwavering, advent, industrious, firm and steady, persevering and persistent. (a) Ability to meet appreciated dangers. (b) Spirit of adventure, and enterprising spirit and a willingness to dare or risk a hazard. (c) Capacity to keep oneself composed in adverse situations enabling to be steady in facing and handling such situations. * They are doubtless risk takers, daring, aggressive, creative, bold & plucky with tremendous physical & moral courage. 15. Stamina. The capacity to withstand protracted physical and mental strain. It emphasizes endurance. * such persons possess Herculean physical & mental capabilities & can withstand plenty of physical & mental stress. They are indefatigable, calm & are very tough individuals. Next Post Why China Doesn’t Attack India While Having Superior Economy And Firepower?